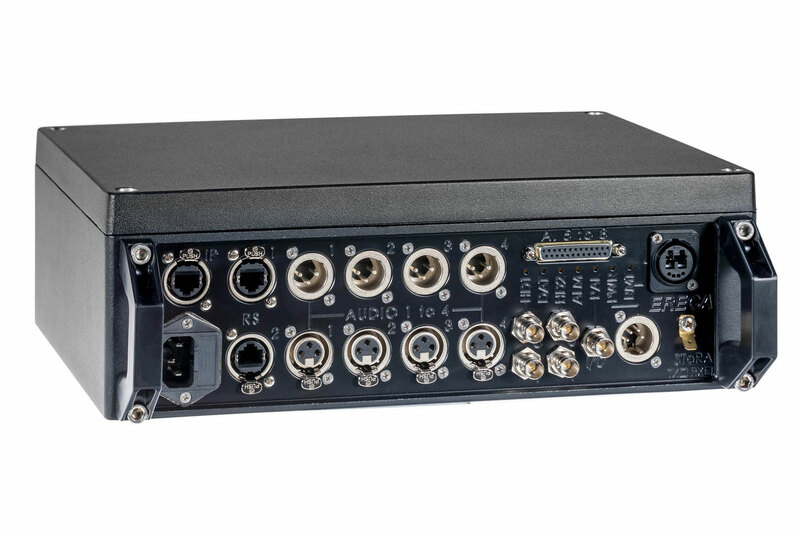 The STORA is a very rugged optical fiber transmission intended to connect 2 outdoor cameras to the OB VAN. Its capacity allows two standard cameras or one 3D camera per system. The transmission board and its power supply are integrated in a compact die cast aluminum box. The enclosure ensures excellent shock/drop protection along with dust and water resistant capacity. A small internal fan guarantees convection cooling inside of the box with the aluminum walls acting as a heat sink. All the signals are transmitted on 2 singlemode fibers. Camera side module; STORA RX can be remote powered through Hybrid cable. 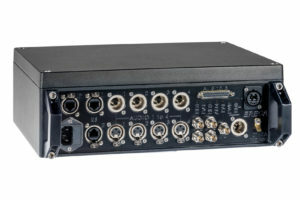 Standard rugged connectors are used for all the signals. 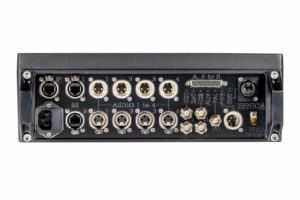 HD and PAL video ports are on BNC connectors. 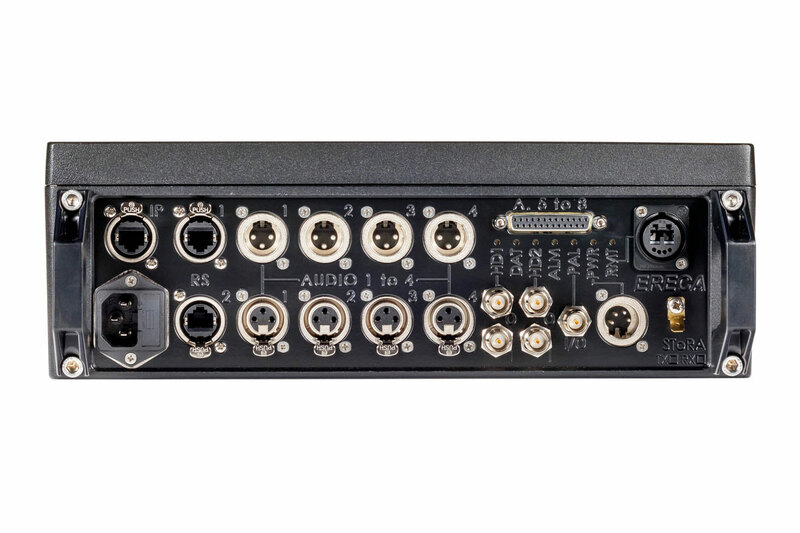 The other connectors are Neutrik D series socket, 4 audio are routed to XLR and the 4 remaining are located on D SUB 25 socket expansion connector for space consideration. IP, RSxxx and contact closure are dispatched on RJ45. Optical and remote power access is done through a Neutrik OpticalCon DUO socket. Seven status Led are located on the connector face (details in specification description). Hybrid cable source: From 24 to 48 volts on powered device input / allowing 1000m of AWG16 cable.